Removing stubborn dirt and grime from the wheels of your vehicle does not need to be difficult. At Pure Definition, we have specially designed a wheel cleaner called Opti-Bright which effortlessly releases stubborn dirt and grime with its innovative acid-free formulation. 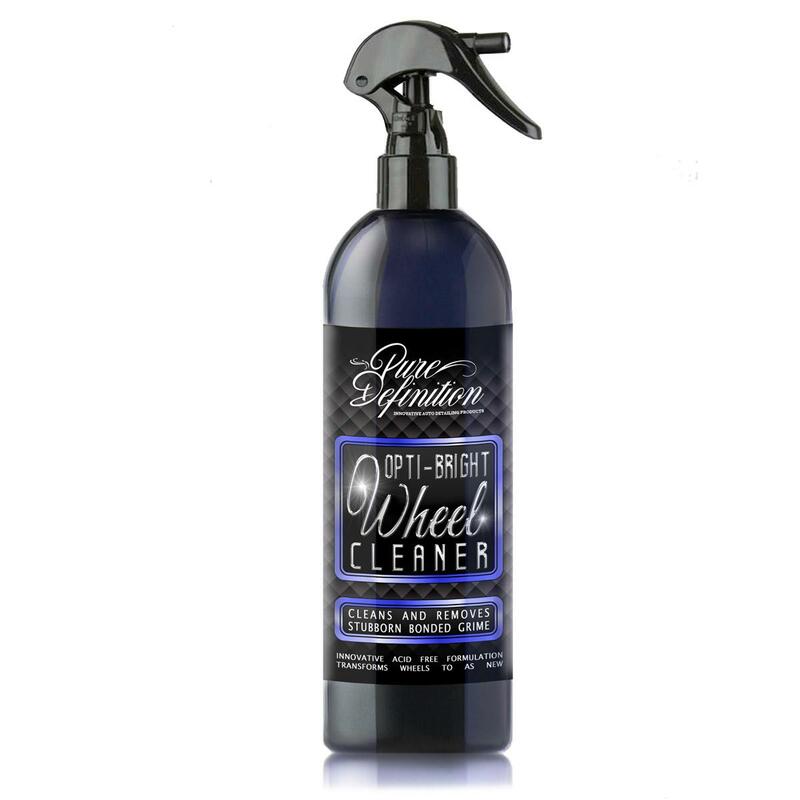 Opti-Bright Wheel Cleaner has been developed using a powerful innovative acid-free formulation. The innovative formulation has been developed with one sole purpose in mind - to clean and remove stubborn brake dust and contamination from heavily soiled wheels. 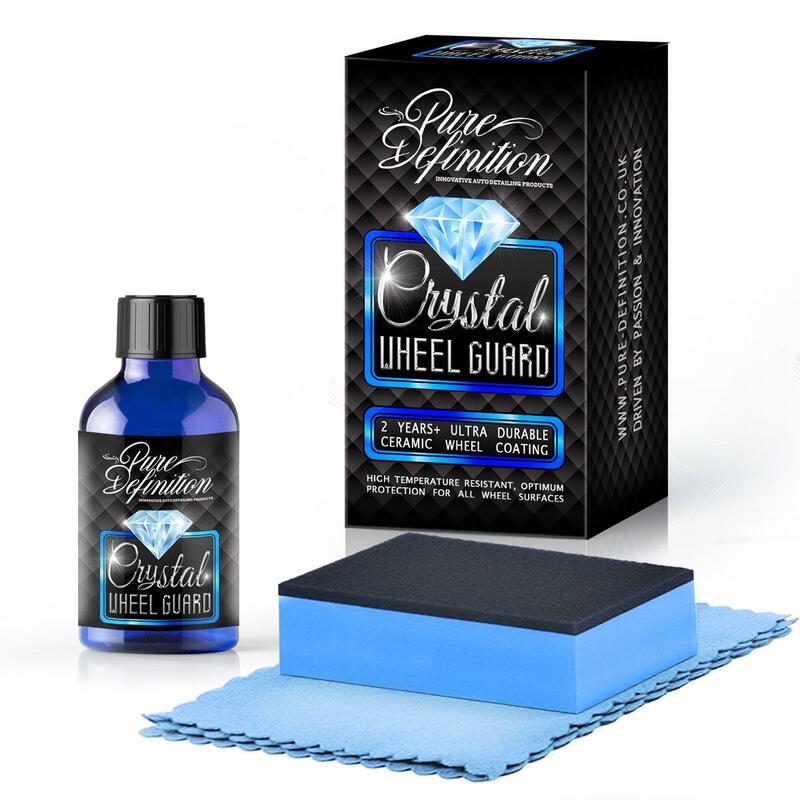 The formulation is completely acid-free, this reduces the risk of damage to wheels when cleaning. Spray, wipe and rinse, the wheels will be transformed back to their original finish. Opti-Bright Wheel Cleaner should be used when you need to clean stubborn bonded contamination from your wheels finish. After application apply a wheel wax to seal the renewed surface. Rinse the wheel to be cleaned with a hose or pressure washer to remove any loose dirt and to cool the wheel surface. Always test on an inconspicuous area of the wheel before use. 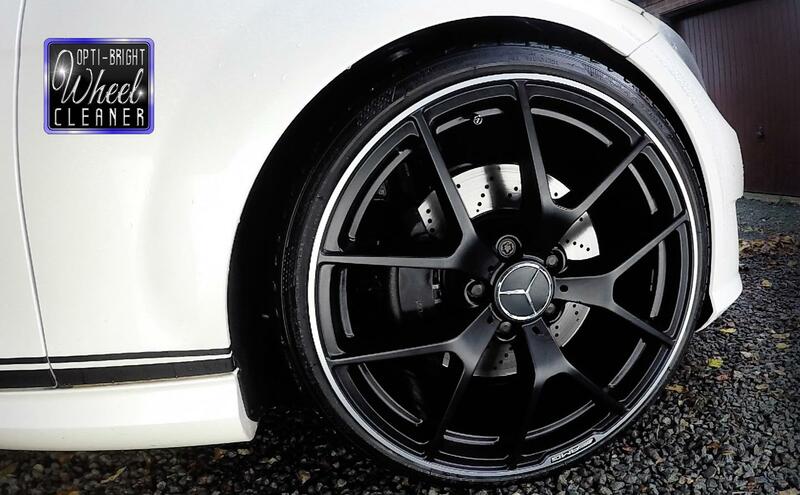 Simply spray on the Opti-Bright Alloy Wheel Cleaner onto the wheel, allow a few seconds for the cleaner to penetrate the soiled surface and then agitate the surface using a wheel brush. Finally, rinse thoroughly before the formulation has time to dry. once the formulation and dirt has been rinsed from the wheel buff the surface dry with a microfibre cloth.